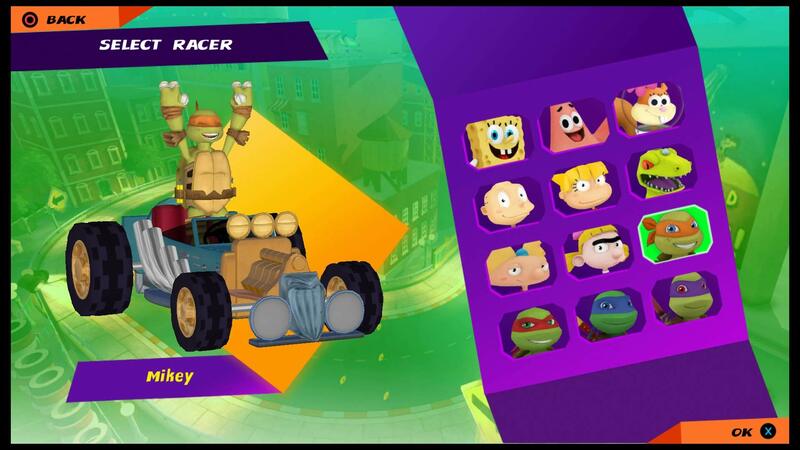 From developer Bam Tang Games and publisher GameMill Entertainment comes Nickelodeon Kart Racers the throwback kart racer that combines many of your favorite characters from a variety of Nickelodeon franchises, pitting them together on slime filled tracks based on the many memorable locations from each different characters original show. This game had so much potential given the source material for the characters, making this end result all the more disappointing. 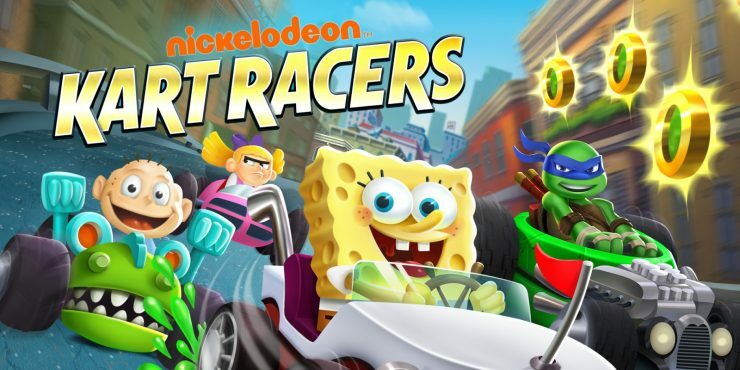 While pretty much completely absent of an original story, Nickelodeon Kart Racers opts for a generic kart racing campaign similar to that of the Mario Kart series. There are twenty-four tracks in total and each track can be played either in a grand prix of four tracks or in a single track free race. 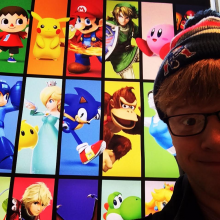 While there are twelve different playable characters, a few notable Nickelodeon franchises have no representation in the game. The decision as to which characters were included is even more puzzling to me because some of the included franchises, like Rugrats or Hey Arnold, aren’t currently on the air. If shows that weren’t being aired were to have characters included, you would think the development team would pull a greater variety from the vast back catalog of shows, including Avatar or Fairly Oddparents/Danny Phantom to name just a few. 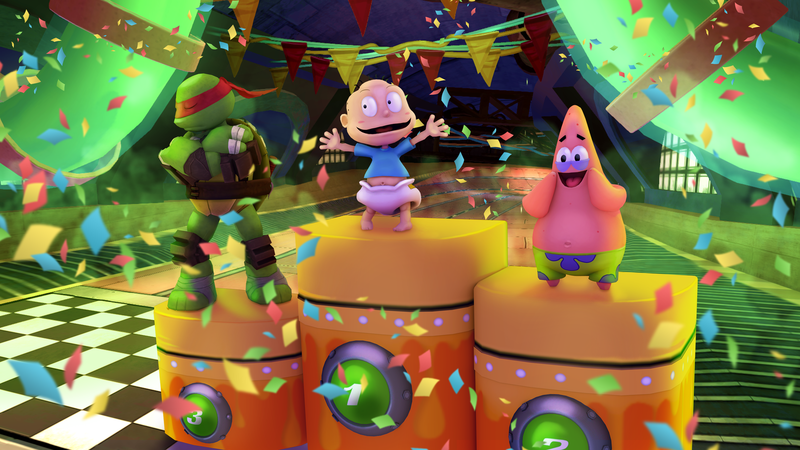 Similar to the overall setup of the game, Nickelodeon Kart Racers attempts, and fails rather mightily, to copy many of the successes of Mario Kart 8 Deluxe’s gameplay. Each track is laid out very similarly to one another and usually contains sections of land, sea, and air terrains. These different sections cause the kart to physically transform to adapt to the environment. As you race through the increasingly bland tracks, you can collect items to aid you in your defeat of your fellow racers. These items are sometimes useful, but would occassionally cause a graphical glitch in the system that caused them to disappear for a moment before miraculously showing back up just in time for you to crash into it and lose a race. There are some notable absences in the twelve character roster, something that I found frustrating as I couldn’t play as my favorite Nickelodeon character. One of the neat ideas this game provides (and it might actually be the only one…) is through its use of the iconic green slime. 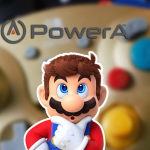 When you travel through slime in any given race you slowly build up a charging meter that allows you to give yourself a slight speed boost. A simple but effective premise, I thought it was the single best use of a Nickelodeon specific idea in this game. Outside of the racing itself, you’re able to customize your gameplay experience by purchasing different parts to use on your vehicle. This is done by collecting coins (another Mario Kart idea found in this game) that you can use to purchase these upgrades from an in game store, and while this is designed to help you continue playing the game the overall experience was so boring and unimaginative that I really couldn’t get myself to play beyond what was absolutely necessary to establish my thoughts on the game. The graphical quality is similar to that of an exceptional Gamecube game, something you definitely don’t expect on current generation consoles. For being a game that falls extremely close to the full price line, I’m very disappointed with the graphics and sound design. 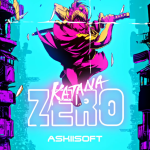 This is also frustrating when you begin to consider the source material for the game often boasts incredibly unique graphical styles (again thinking about Avatar/Legend of Korra & Fairly Oddparents/Danny Phantom) and interesting musical compositions. 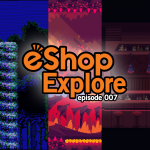 The game presents itself as very colorful, but also very stiff and uninteresting as far as the graphics are concerned. 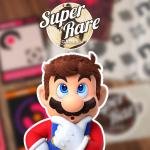 Character models don’t interact in a way that feels natural or even like the characters, so races that could be filled to the brim with witty character specific content are instead boring and plain. 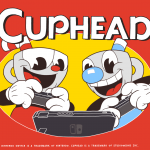 The same can be said for the music, as what we’re given for sound design is equally as lifeless and uninspired as the graphical design and ultimately the entire game. If I were you, I’d be racing away from this awful title. I really wanted to like this game. 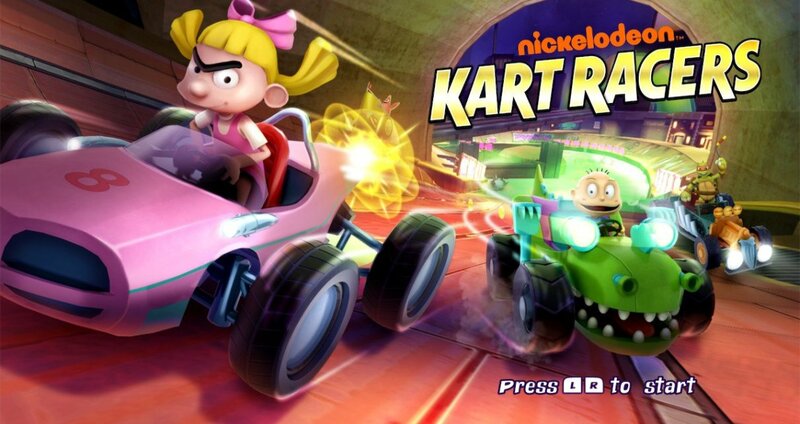 I’m a big fan of both kart racers and of the source material that Nickelodeon could draw from, but it just wasn’t meant to be. A game so lazily put together (starting with the graphical design, continuing through to the character roster, and ending with the lackluster gameplay mechanics), this was bound to be a failure. The worst part about this game, and that really is saying something, is that they had the gall to charge you $40 for it at launch. I am usually a person who tries to find at least something good in each game, but with Nickelodeon Kart Racers there is no good to be found. Stay away from this Nintendon’t of a game, even if it’s in a bargain bin. Stay very far away.